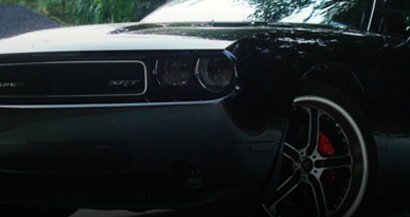 Window tint should always be installed in a garage or other enclosed area that is shielded from wind as it can make installation significantly more difficult. In addition, dust and other contaminants can ruin the film when the adhesive side is exposed to the air so you always want to install in a controlled environment to obtain the best results. 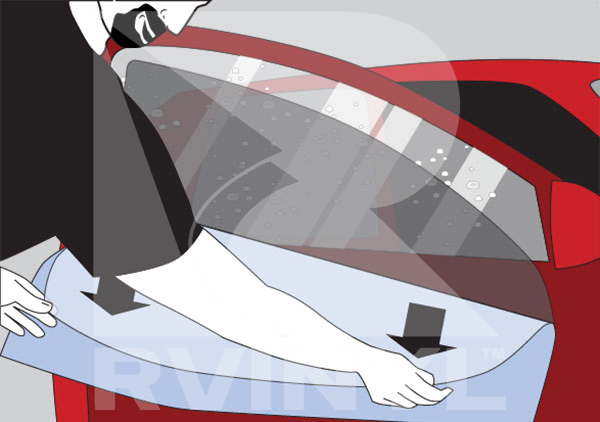 Remove any parts of your vehicle which are in contact with the glass surface area. You may need to remove inner plastic pillars, tape back the felt window draft guard or even remove the door panel trim or third brake light housing to ensure good access to your window. 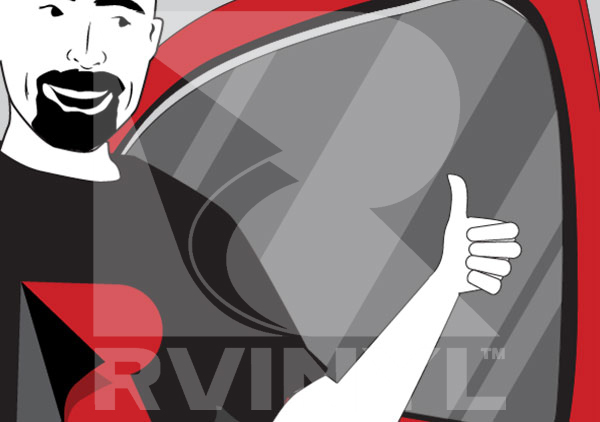 We hate to say it but your window tint job will only be as good as your cleaning and preparation. That's why it is of the utmost importance to remove all dust, oil and residues not only from the windows but from the surrounding panels and even the area in which you'll be tinting. Tint should be installed in a garage or sheltered area as wind and dust may damage the film and make installing it significantly more difficult. 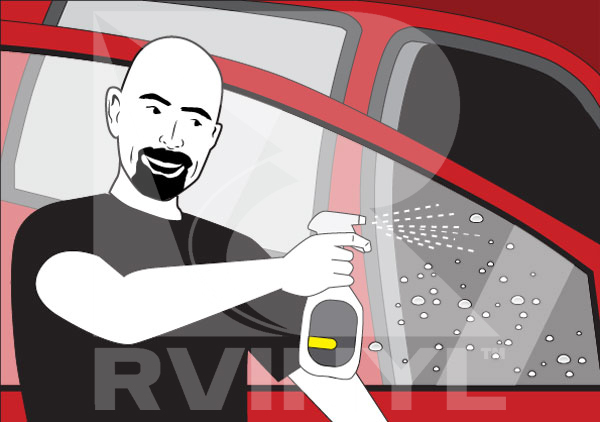 Remove any parts of your vehicle which are in contact with the glass surface area. You may need to remove inner plastic pillars and the rear view mirror to ensure good access to your window. Lay out the pre-cut tint on a flat clean surface or, more conveniently on your cleaned window, and mist the film with slip solution (your own or from Gila's professional tint kit). Mist your clean windows in the immediate area to control dust and static. Using this technique will allow you to remove the liner without causing tears or wrinkles in the film. Mist your table and prepare to place the film in a good position. Layout the pre-cut tint sections flat on the table-you are going to peel the film here so you want it clean, and in such a position that you can quickly pick it up and mount it with a minimum of movement through the air to avoid contamination. Once you have your glass prepared, mist down the air in the immediate area to control dust and static, Mist your fingers, carefully and slowly lift a corner and begin to peel the liner, do not completely remove it to aide in film handling and installation. Be careful not to crease or tear your precut tint. Mist the adhesive side of the film, being careful not to touch it. If you let the dry adhesive touch itself once the liner is off then you will need to reorder discounted replacements as the film will be ruined so be sure to spray the adhesive as you peel. As always, mist your fingers, then carefully and slowly lift a corner and begin to peel the liner. 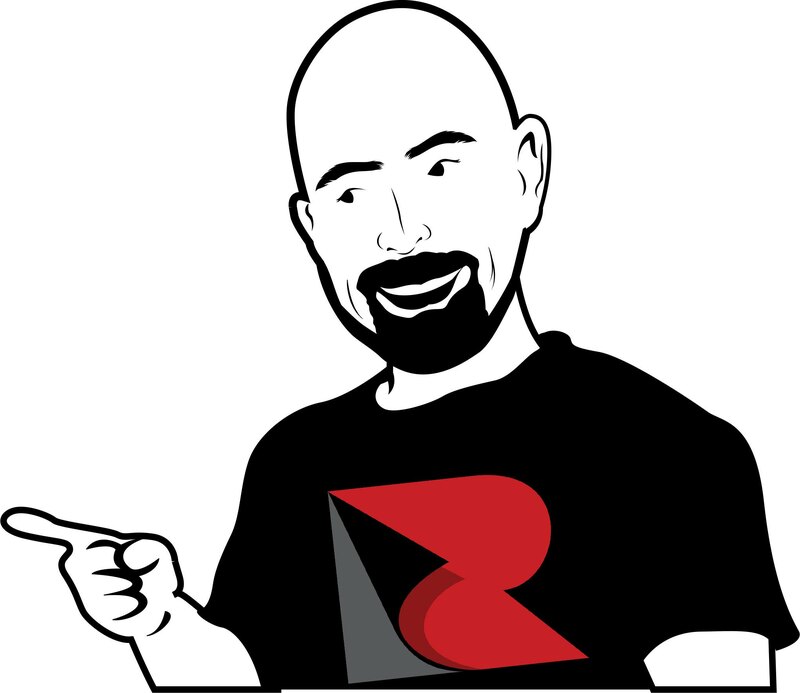 Do not completely remove it to aide in film handling and installation. Be careful not to crease or tear your precut tint. Mist the adhesive side of the film that's been revealed being careful not to touch it. In order to prepare to bring the tint from its resting position, wet the adhesive again. This will protect the adhesive from contaminants and reduce static electricity which could attract dust particles. 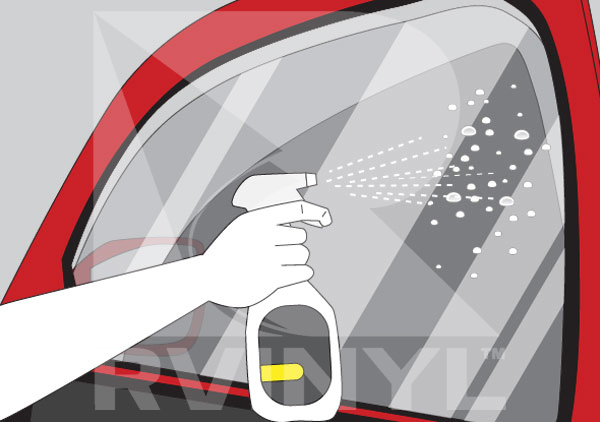 Quickly re-clean your interior glass and spray down the surrounding areas. Wash the windows in preparation to receive the film one at a time. Without touching the adhesive side of the film, lift it up (just use the very tips of your fingers or fingernails on the very edge of the film where it's not going to show) and place it onto the glass. You should rehearse this movement beforehand if you aren't experienced. Roll down your glass about 1/2 inch from the window felt. With the window down and the application solution applied. 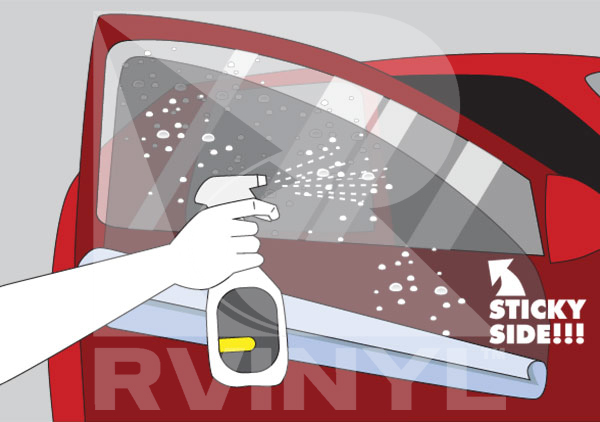 Remove the liner from the precut window tint, apply the soapy slip solution to the film. Be sure there is enough solution on the film and the glass to insure the film will not adhere prematurely before it is positioned. Lay the film near the bottom of the wet glass and slide it down into position as you lay the top of the precut film kit into position. Squeegee from the anchor point, this will keep the film from sliding while you work from the middle out. You may now roll up the window and squeegee the bottom out. Blot away and excess water with a paper towel (we recommend wrapping the hard card with a paper towel for this procedure). 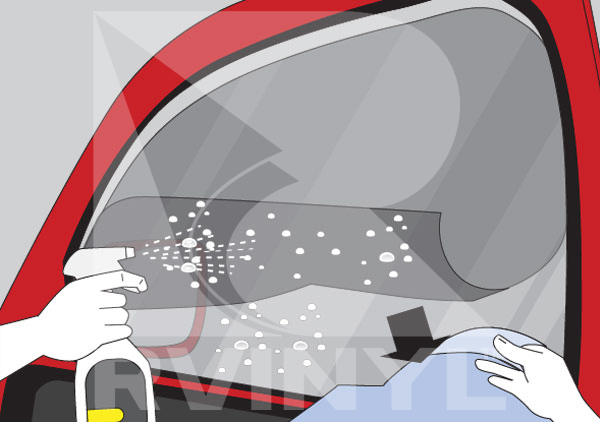 As you are squeegeeing, (on roll up windows) do the top first, work down avoiding the edges until last, stroke downward. Spray the film and squeegee it again, more firmly this time, to remove more water from under the film. Carefully position the film around any obstacles. The more it gets bumped or the edges lift from touching something, them more contamination will be drawn under the film. Mist your fingers. 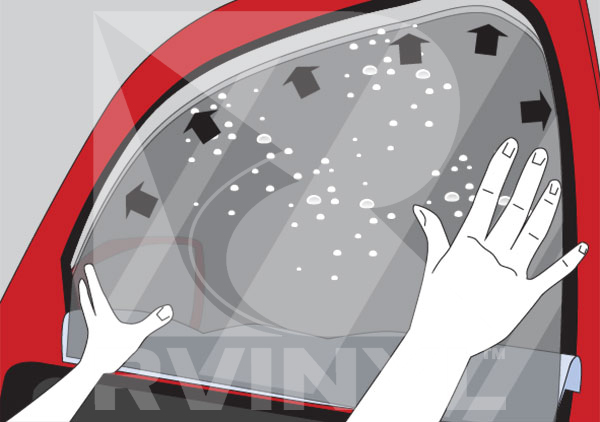 Gingerly pick up your tint and transfer it from the outside glass to the inside. 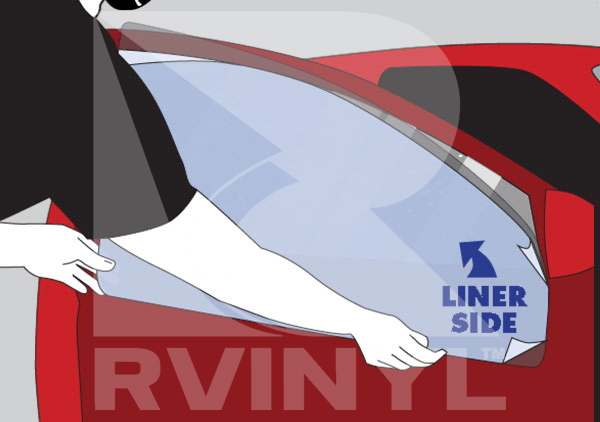 Be careful not to allow the tint to fold over onto itself or touch your clothing or the surface of the vehicle. 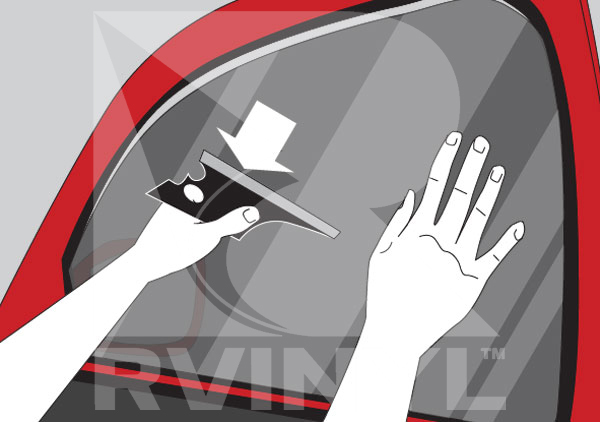 With fingers moistened, align the precut window tint piece to the window. Do not press any harder than necessary to keep the tint adhering to the window. Delicately remove remaining liner. Accomplish this by holding the tint against the window firmly and pulling the liner down and away with your other hand. Use your Conqueror squeegee with downward strokes, avoiding the edges until last, stroke downward. Spray the film and squeegee it again, more firmly this time, to remove more water from under the film. 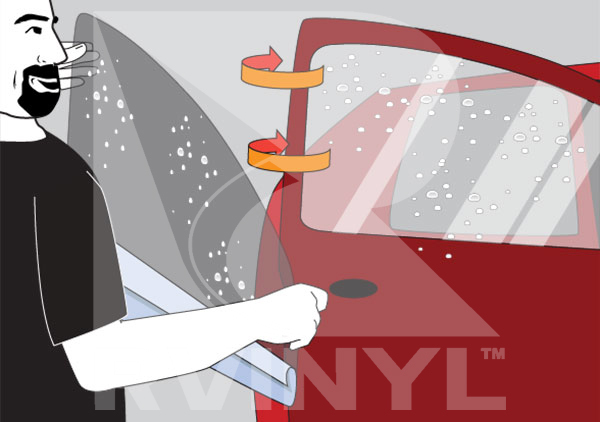 Start from a small anchor point and squeegee horizontally, following the defroster lines. Those lines grab the film pretty quick, so make sure you have the film in all the left places. After the squeegeeing is done, mist the film and squeegee again much more firmly to remove as much water as possible. Most newer cars have a black ceramic trimming the edge of the rear window. Sometimes this ceramic has a straight edge and sometimes it has a dotted edge. Usually this dotted edge is only 1/4 inch wide or so. The window film usually won’t stick to these dots flush, so there will be a pocket of air trimming the glass. On most cars this isn't very noticeable. The problem is that some cars have a six inch wide band of dots on the upper edge of the back window. If that is the case, the pocket of air created is so large and uneven, that it is very unattractive. Some ways to deal with this are to apply vinyl to the dotted area or leave the wide band of dots untinted, then after the film has dried for 3 days, mask off the dotted area with masking tape and paper, then paint the area with flat black enamel spray paint. Let the paint dry for a while and then remove the masking.